Valve wants 360 owners to know that it'd like to bring Steamworks to the Xbox, but Microsoft's closed control of Xbox Live won't let this happen right now. 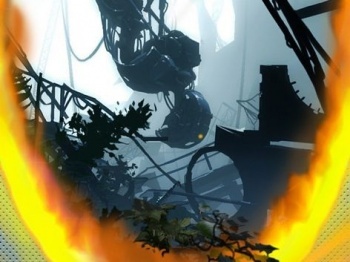 Valve's announcement that it was bringing Steamworks to the PS3 via Portal 2 was a pleasant surprise for console owners last week. As it turns out, the PS3 isn't the only console that Valve would like to bring the development suite to. According to Valve Project Manager Erik Johnson at Gamescom last week, "we think customers would like [Steam on Xbox 360]. We think, anyway. We'd love to try that." However, despite Valve's wishes, Johnson also stated that Steam appearing on 360s is "not up to us." It turns out that Microsoft's closed regulations on Xbox Live don't allow developers to include their own services that provide things like mods, quick patches, and community content. This isn't the first time that Microsoft's control of Xbox Live has been an issue for big-name developers. Final Fantasy XIV's release has been substantially delayed while Square-Enix tries to work things out with Microsoft, and Champions Online's Xbox release was delayed several times before it was finally canceled due to issues Cryptic encountered with Xbox Live. Microsoft doesn't seem to realize just how bad it's starting to look thanks to situations like this. There aren't many bigger names in the business than Valve and Square-Enix, and the fact that Microsoft doesn't seem to even be trying to meet them halfway probably makes Sony look a much better working partner for smaller developers. If I were running a videogame studio, I'd be much more inclined to give Sony an exclusive title for the PSN because of the inflexibility Microsoft is showing with Live. According to Final Fantasy producer Sage Sundi, though, there's a possible solution for getting Microsoft to allow this sort of content on Xbox consoles: "If 200,000 people maybe send an e-mail to Microsoft asking to give us access to the other side of Xbox Live then there's a possibility."